Madhavi Devi‘s first solo album on the Spotted Peccary label, THE TRUTH OF BEING, is a heartfelt musical reflection upon the cathartic experience of self-discovery. Drawing from her multi-faceted explorations as both a visual and musical artist, Madhavi Devi (Cheryl Gallagher) delivers a visionary album rich with musical meditations that blur the line between the tranquility of inner peace and the thrill of discovering unexplored personal realms. The captivating combination of instruments includes an elegant blend of digital, analog, modular and software synthesizers, concert grand and electric harps, viola, ambient guitar, and Tibetan bowls. The result is a meaningful journey through lush sensual textures and heart-opening phrases that paint powerful scenes of exquisite space and expansive beauty. The music breathes naturally between spatial ambient passages and more focused rhythmic structures. Melodic suggestions overlay and interface with ethnic and ceremonial undertones, while sounds of nature provide sonic touchstones to ground the listener within the album’s sweeping etherium. Joined by special guests Howard Givens (ambient electric guitar, modular synthesizers, effects) and Stephanie Britten Phillips (Viola), Madhavi Devi journeys into the realm of the collective consciousness that unifies all, sharing space and time in a lush and complex field of mystery and revelation. Where do I start this review about the last of the celestial and atmospheric Mass from the Spotted Peccary label? 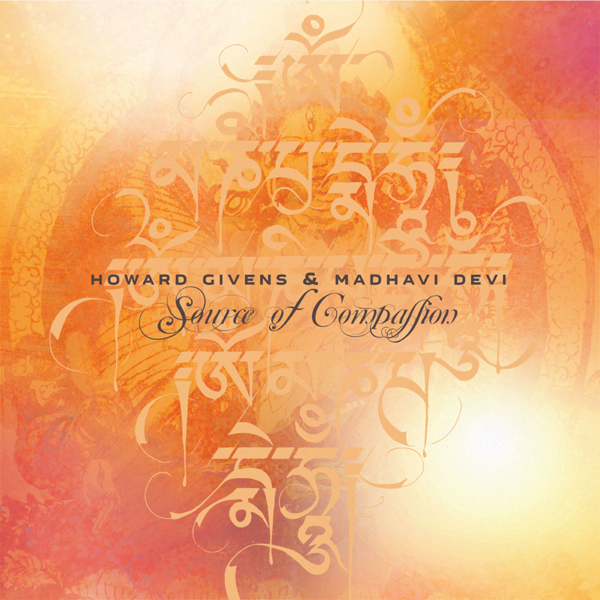 I had already heard the music, at least his participation, of Madhavi Devi with the very ambient Source of Compassion, album made in 2016 with Howard Givens; the great Manitou of the American label. Always at the controls, Givens lends his synths and especially his realization for a splendid album which redefined some parameters of the ambient music. 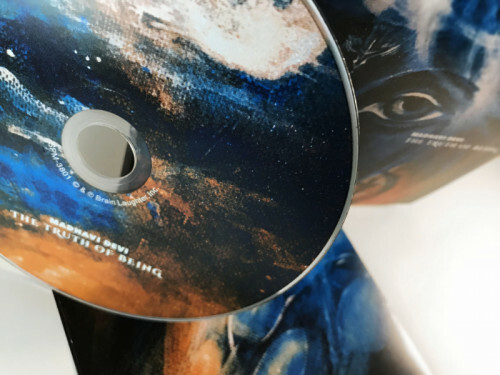 Bewitching, secret and mystical “The Truth of Being” explores another realm of atmospheric landscapes with a sound aesthetic that impressed me with a richness that had never reached my ears yet. Cheryl Gallagher uses a variety of synths, analog as well as digital and modular with equally diverse sound filters. The harps, the Big one as some electrical, a guitar, a violin and truly fascinating Tibetan percussions weave pads of ambiances and evanescent rhythms in a very immersive music enveloped by sumptuous orchestrations. A superb album guided by the oceans, the secrets of Madhavi Devi and its impressive musical vision that makes us travel through her fantasies! Breezes blowing on the Pacific Ocean bring the waves to murmur on the shores. It's in a very heavenly vision that "Translucence Reflected" floats these puffs that raise sand particles which solidify into carillon chants. Like a mobile of a child above a gigantic astral bed, the tones of the chimes must go over the immensity of the territory and turn into percussive chords which get bang and tingle with a hope of forming a less passive rhythm. And it's a slight movement of rhythm that finally seduces the azure winds of "Translucence Reflected". This rhythm swirls like a mirage of Michael Stearns in a second part blown to give us chills with orchestrations and chants of the stars which form a sublime lullaby lunar. Here it is! Cheryl Gallagher's charms box is now wide open, and "Jade Breeze" gets in all in softness with its purring and deafening breeze. Celestial layers unfurl like a carpet of yellow tulips opening their petals in a symphony of inert movements. 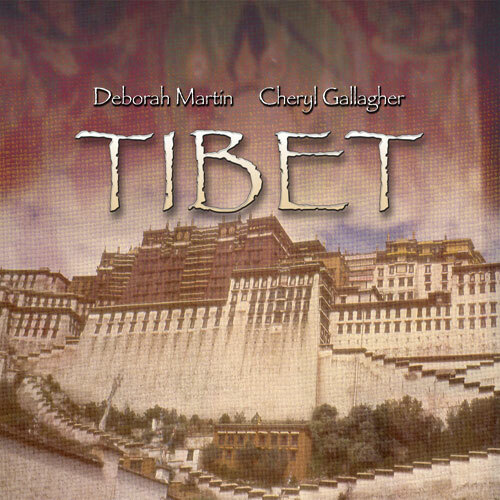 Even with shades of shadow, the tones are radiant and cast a meditative tranquility that is joined by a duel between a piano and tinkling chimes, maybe Tibetan percussions. Thin lines of voices seem to come out of this membrane where nothing else can get in while the jade breezes play with the tenderness of a piano which has no restraint for throwing some chills in the secret corridors of our soul. And as in "Translucence Reflected", it's a kind of chimes dance that lights up the light rhythm of "Jade Breeze". Drums, very discreet, invite themselves in this ethereal dance which gradually scatters its clinking tones in this vast ocean which has blown its introduction. Madhavi Devi is electronic musician, harpist, and meditative sound painter Cheryl Gallagher from the Austin, Texas area. Madhavi Devi has had a few collaborative releases prior to this first solo outing on the Spotted Peccary label, but I haven't heard them. On 'The Truth of Being' Madhavi Devi employs a blend of digital, analog, modular and software synthesizers, concert grand and electric harps, viola, ambient guitar, Tibetan bowls. 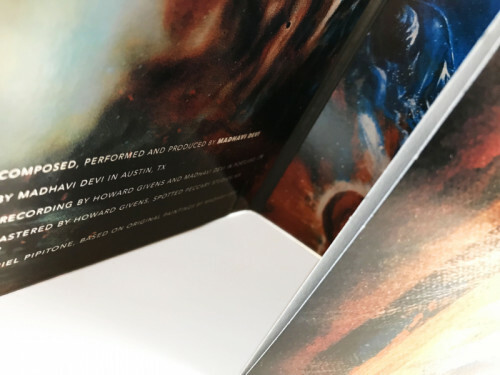 Howard Givens (ambient electric guitar, modular synthesizers, effects) and Stephanie Britten Phillips (viola) are special guests on this album but they never overshadow Gallagher's work. 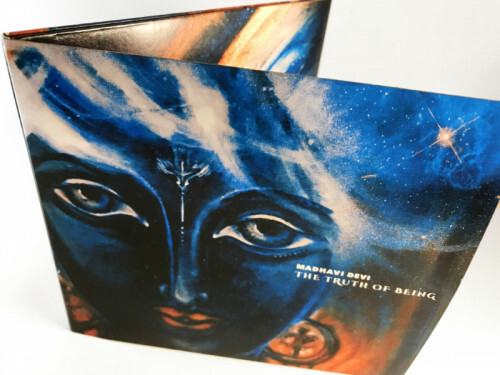 On 'The Truth of Being' Madhavi Devi's ambient is of a soothing melodic sort without ever getting too caught up in the melody. It is richly textured and world music influenced without leaning too much in one ethnic direction or another. Over the six tracks on the album that's just a few minutes under an hour (a couple of the lengthier tracks are well over 10 minutes each), Madhavi Devi takes the listener on an exotic, yet familiar journey that can also serve as tranquil meditation. Rhythm is sparse and somewhat downplayed yet still present on a few tracks. Most of the melodic input is abstract which is fine by me. (Too often good ambient can be ruined by melodic themes that come across as too romantic or cloying.) The one thing I really like about this album is its varying shades; different tones of light and dark that always seem to be resolved perfectly. While sometimes I was reminded of Constance Demby and Michael Stearns, Madhavi Devi's music has a vibe of its own not owing to any other particular sonic artist or work. 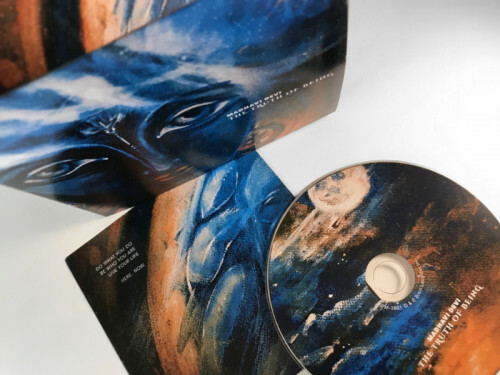 Gallagher also designed and painted the artwork for the tri-fold CD slipcase, impressing that she's the total package. While 'The Truth of Being' isn't a revolutionary work in the ambient genre, it is a very solid one with a high degree of replayability. - Steve Mecca, Chain D.L.K. The Truth Of Being is an epic journey through time and space, with no words. It has a vast palette of sonic colors and instruments, ponderous meditative oceans and skies, vistas of ambitious peace and harmony. Intentional creativity is a path to accessing the language of the heart within. It is an approach to creating that yields greater access to what is possible for us and our unfolding future. The winds carry wisdom while the deep waters flow endlessly. Madhavi Devi conveys much to us about creativity and expression, we can benefit from her complex inner visions for healing, growth, benevolence through creative action, honest witnessing of all outcomes, and ageless devotional music. A very peaceful, deep, warm journey, drifting and floating in dark jeweled caves and through brilliantly colored sunrises. You will hear 58 minutes and 21 seconds that feature the freshness of dawn, the sweeping sound of wind and slow ocean waves in the distance, a gentle hiss that rises and falls like a slow ocean surf with huge swells, very slowly building up but never reaching a climax, always meditative and evenly peaceful. 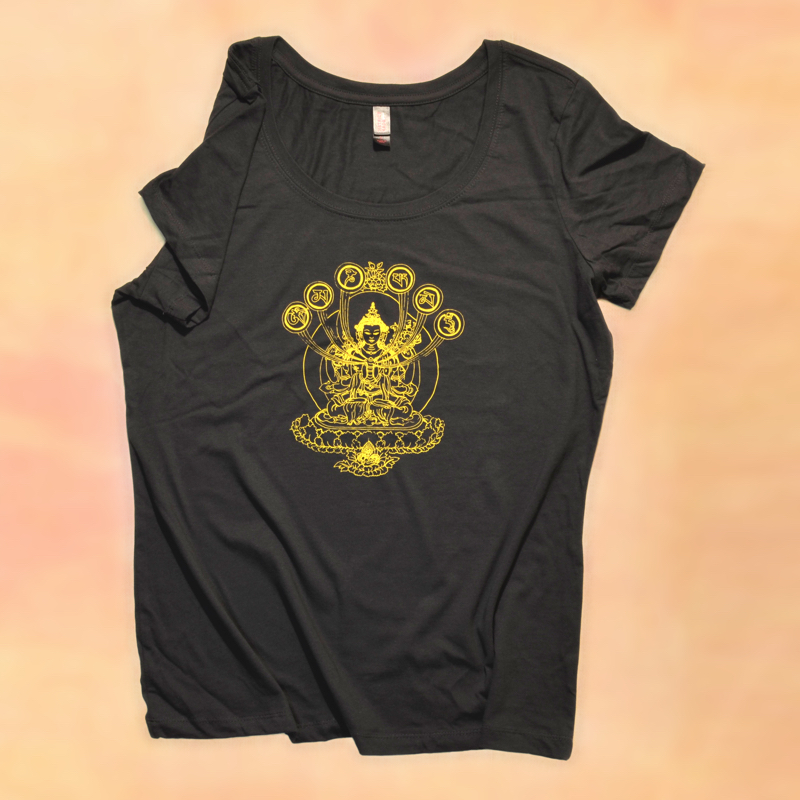 The music is gentle and uses a variety of instruments, built upon a foundation of richly layered synthesizer and piano glow, sometimes with delicate percussion, strings, harps, Tibetan bowls, monks chanting, sprinkles of chimes and little bells. The album’s last songs feature luminescent electronic percussive weavings and ethereal vocal sounds. This album will nourish and inspire you long after the music finishes. The legendary name Madhavi Devi originates in the ancient writings known as Antya-lila of Chaitanya-charitamrta. She was a religious devotee of Shri Chaitanya Mahaprabhu who was born in 1486 and died in 1534, in what is present-day Nadia, of West Bengal, India. The same hallowed light that reflects from that time, easily and possibly unconsciously inspires this music. Creative muse, visual artist, harpist, electronic musician, and meditative sound painter, as well as a proponent of the Intentional Creativity Movement, Madhavi Devi, aka Cheryl Gallagher, expressively paints, creates meditative arts, composes music, and conducts transformational art workshops for a more integrated, fulfilled, and beautiful life. Cheryl Gallagher works in Austin, Texas. Howard Givens (ambient guitar, synthesizers) and Stephanie Britten Phillips (viola) joined her for this album, The Truth of Being. The sound has almost no strong melody or message beyond the infinite meditative call of enlightened bliss, there are no words, only pure music from the inner places where the truth simply is. 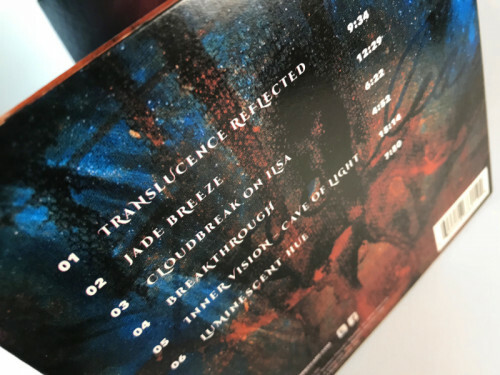 The album opens with a delicate sound of magical bells at dawn easily rising over a breezy ocean, “Translucence Reflected” (9:34). A meditation played on something that sounds like an angelic electric harp emerges about halfway through. Meanwhile, sweeping celestial objects visit and pass by, and an ancient sounding stringed instrument is bowed. Eventually it returns us to the breezy ocean to continue our wordless contemplation. ”Jade Breeze” (12:28) eases in with a celestial organ that sparkles and chimes, with celestial light making the way for an imaginary growing choir. 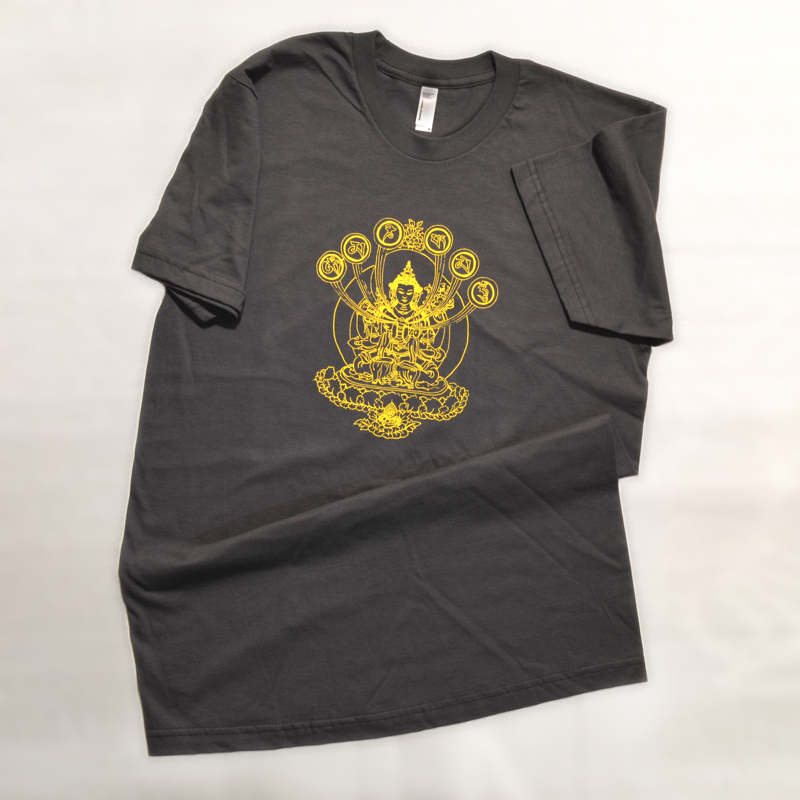 A brass cymbal sounds gently like a tapping timepiece while the glow grows and shimmers gently. Also, percussion emerges with a slow piano melody, an orchestra of peace awakens about half way through as the percussion strengthens into a morning walk with the rising ethereal choral accompaniment, eventually the gentle timepiece taps a few more times and brings the whole thing to a satisfying conclusion. The third truth begins with the majestic sound of a promising new dawn created with a synthesizer, and the viola tells us about the “Cloudbreak on Ilsa” (6:21). This is a tale with no words, and it could be about a princess named for an ancient river flowing from grand old mountains through many traditions and interpretations. Above all, there is no diminution of clarity, nor does the song require specificity, it just is. There is a windy void and monks are chanting, and there are vast echoes. Also, the viola tells a new story of a journey and is accompanied by rhythmic percussion, step by step through an astral soundscape. You hear small bells in the reverberating cave. This is the “Breakthrough” (4:51). Madhavi Devi has captured the story of another journey and moved it inwardly, bringing the elements closer together. Towards the end there are clattering symbols, and then it fades like a dream. The jewel of this collection is the track that is titled “Inner Vision – Cave of Light” (15:14). What you will hear is an astral breeze, a gift of light, a new vision inside. For example, a reverberating synth glow and sweeping winds playing overhead and a new ethereal choir is rising and holding in the air above. Meanwhile, a sequencer begins its dancing melodic experiments with motion in the darkness, a harp joins in the melodic developments, rushing wind and water below us, as we warm to the center, nothing is lost when there is peace.